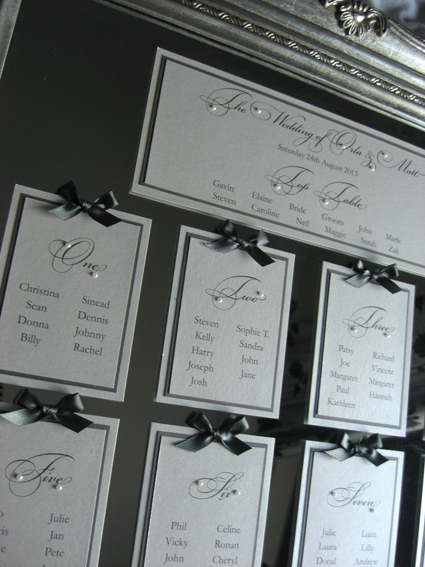 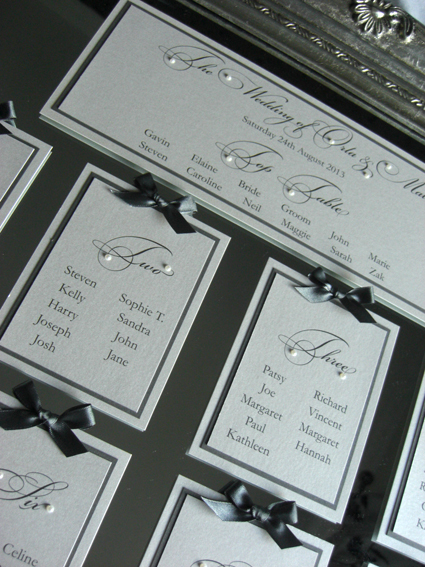 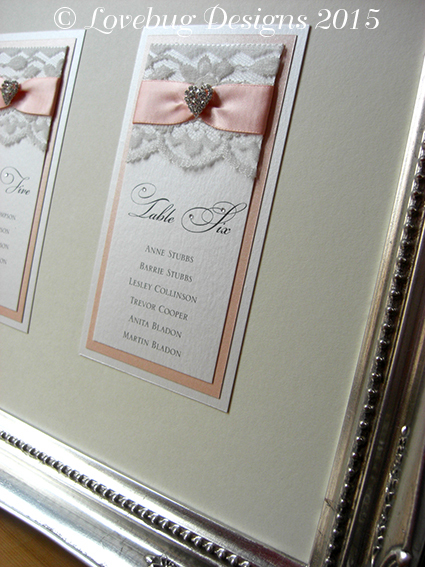 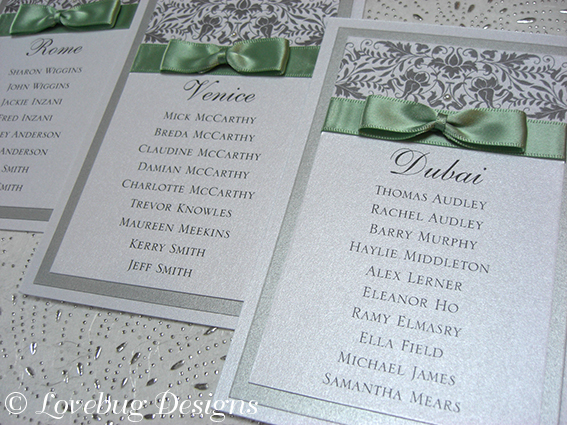 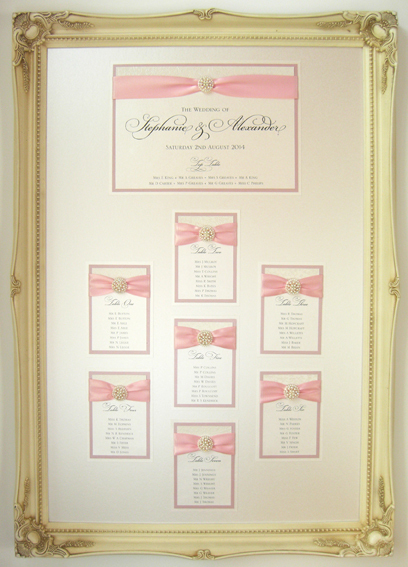 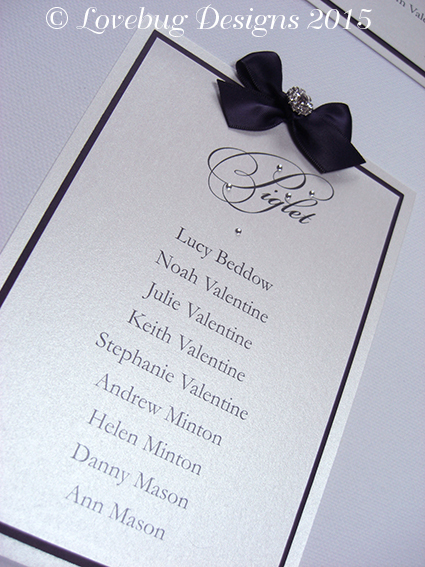 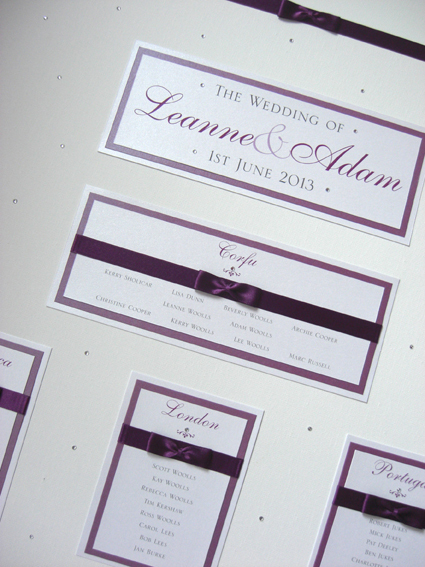 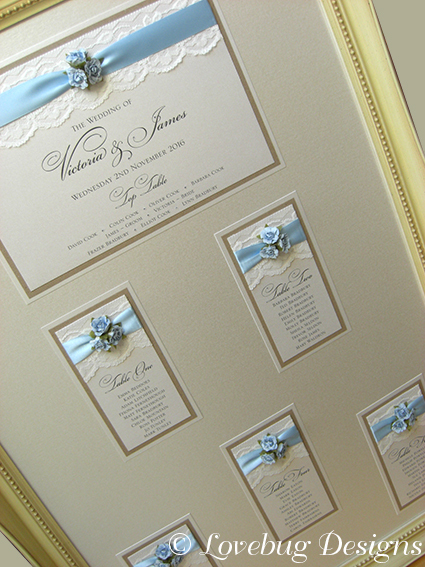 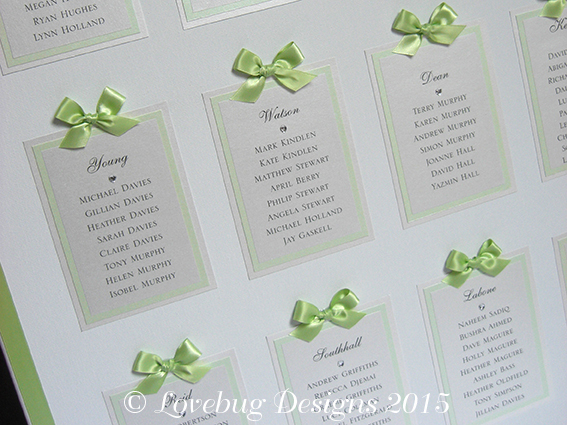 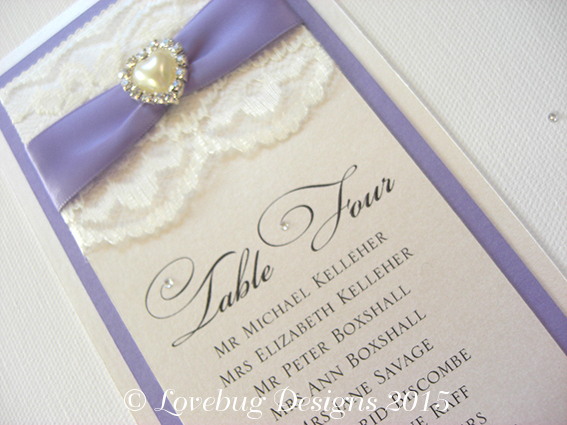 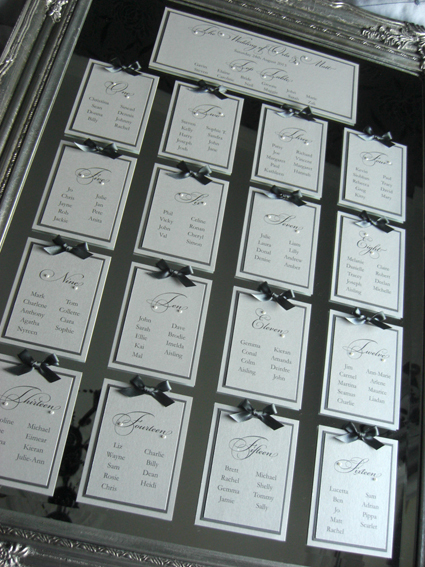 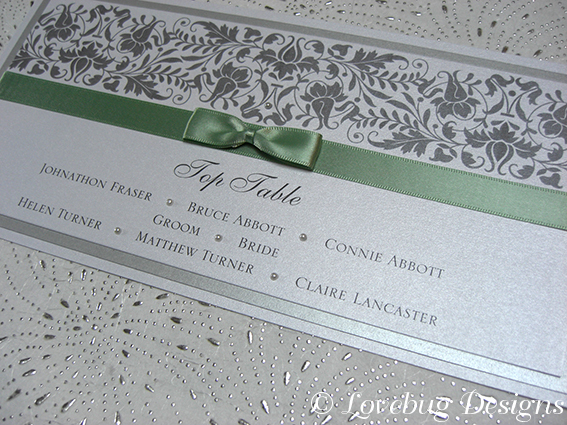 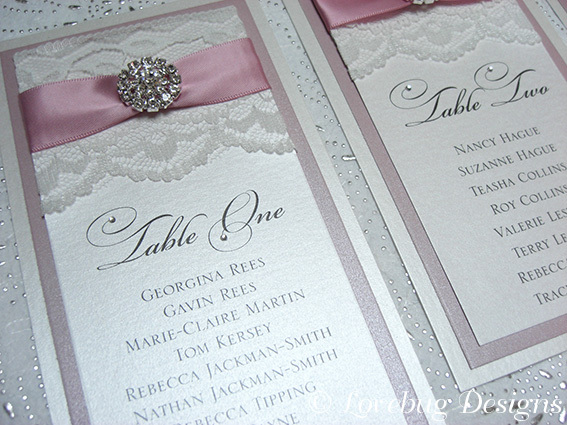 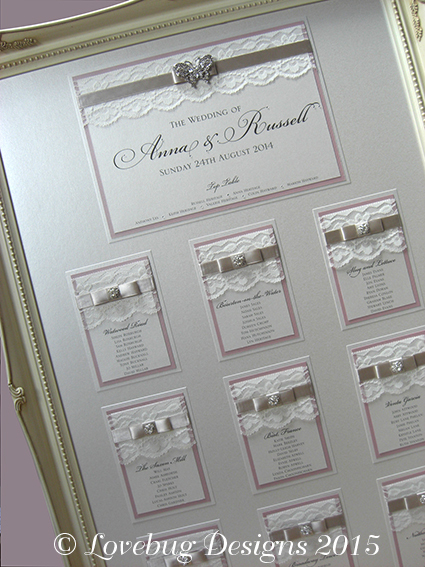 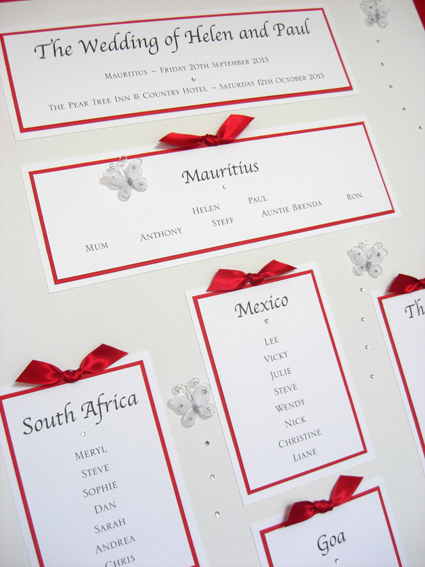 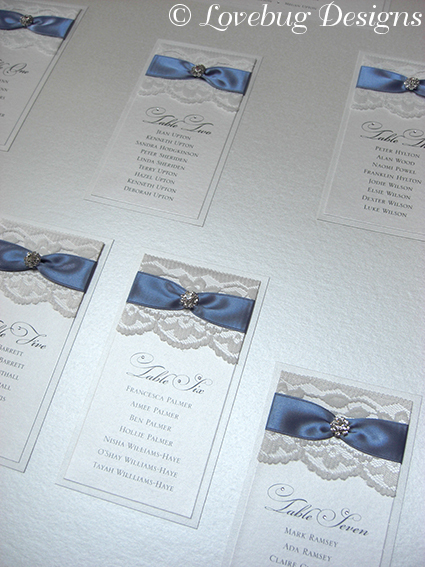 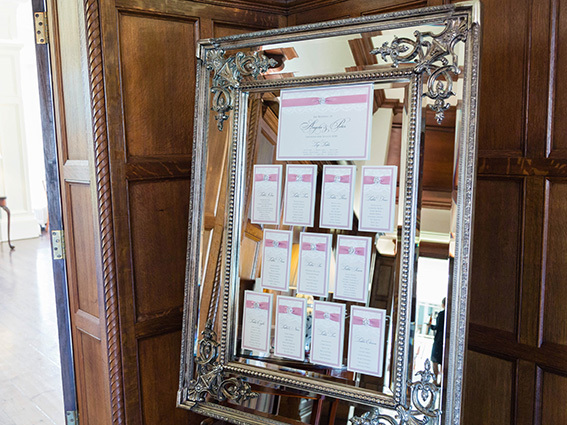 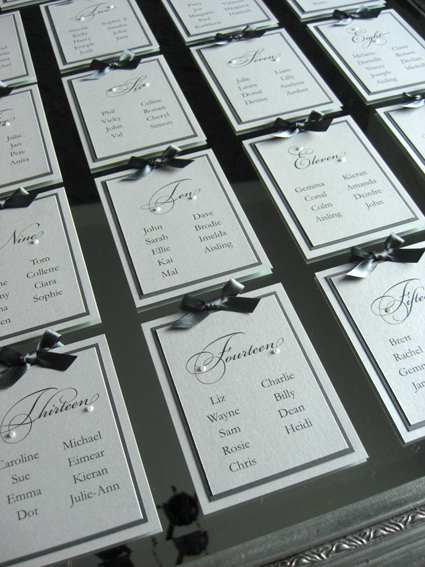 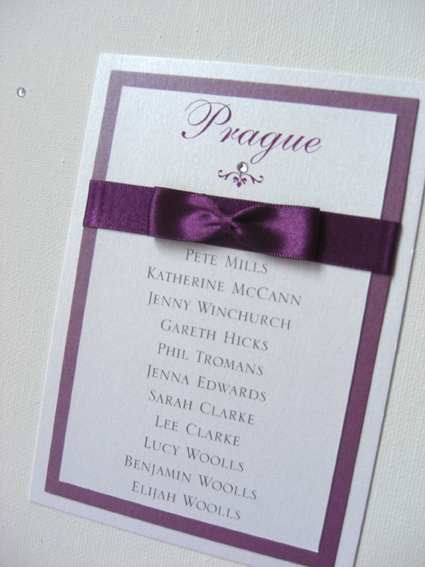 A range of options are available for table plans. 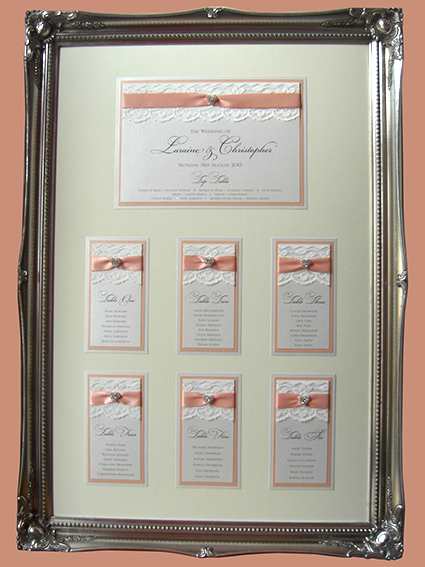 Mounted onto a sturdy board and unframed, mounted onto a board and framed or just the cards for you to display as you wish. 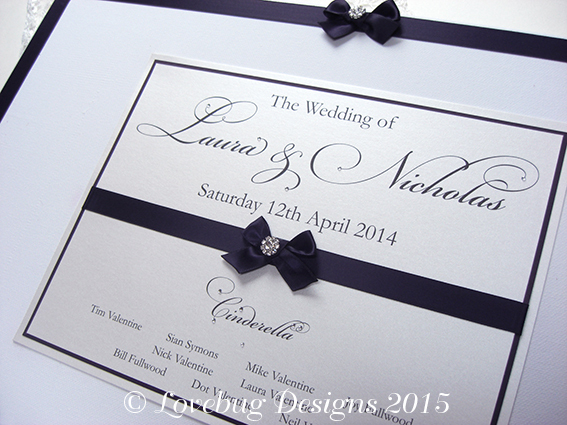 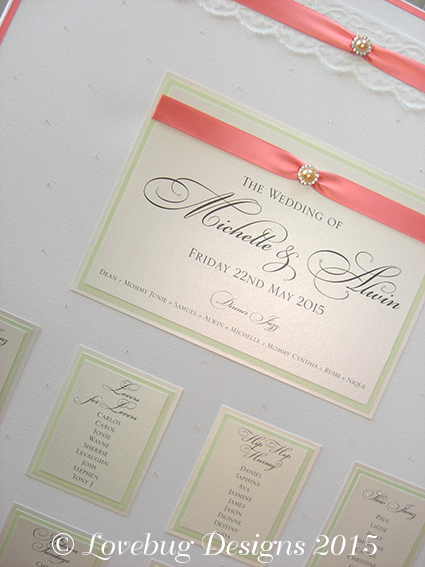 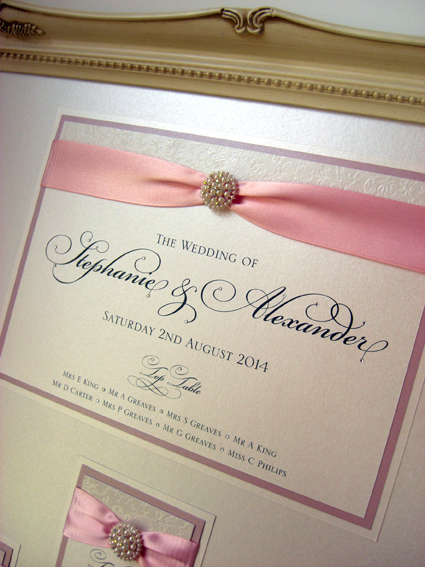 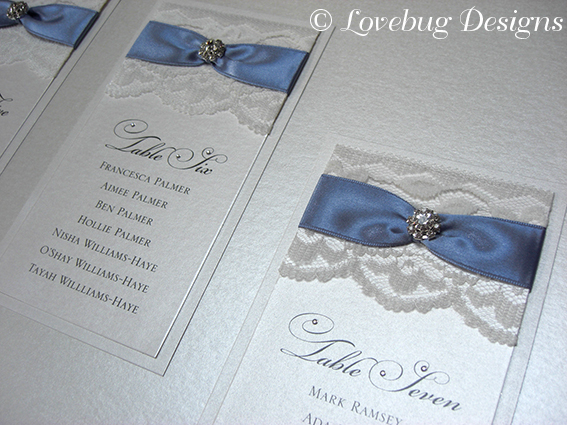 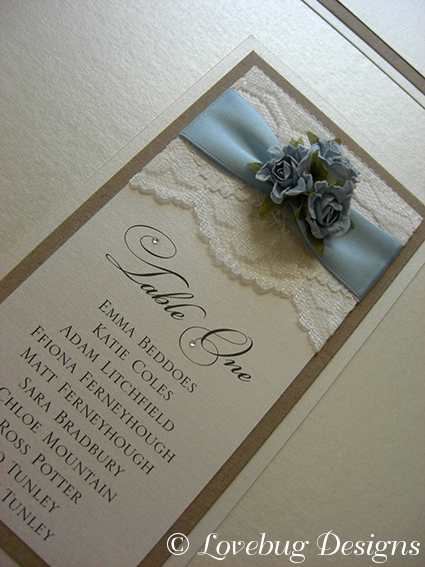 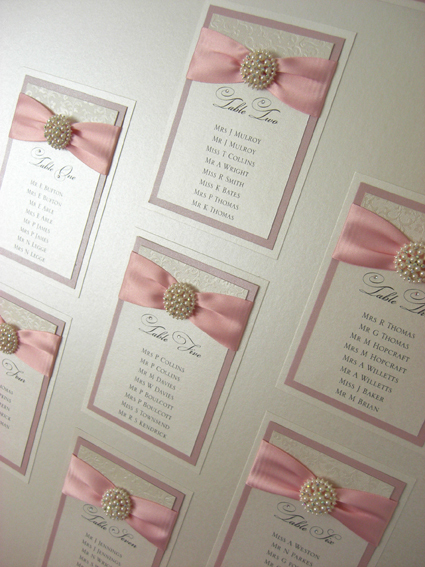 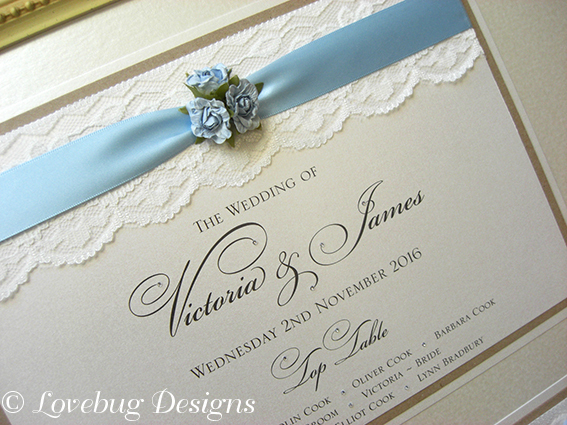 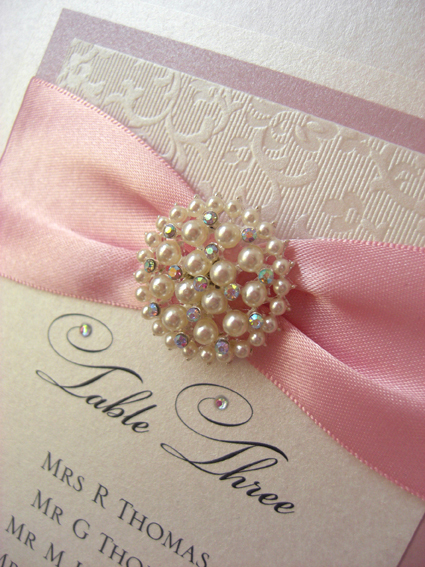 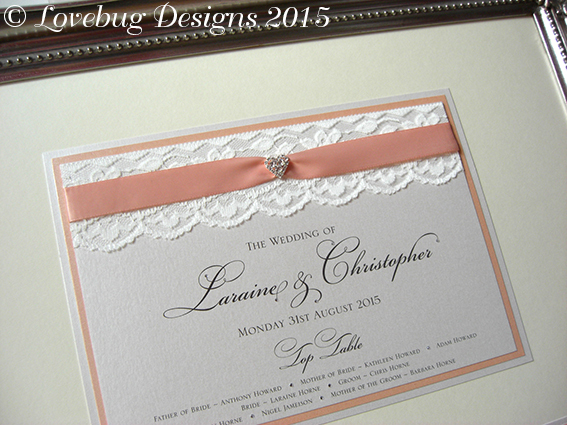 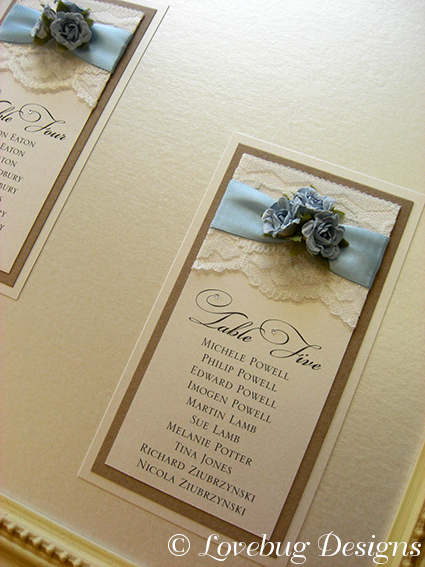 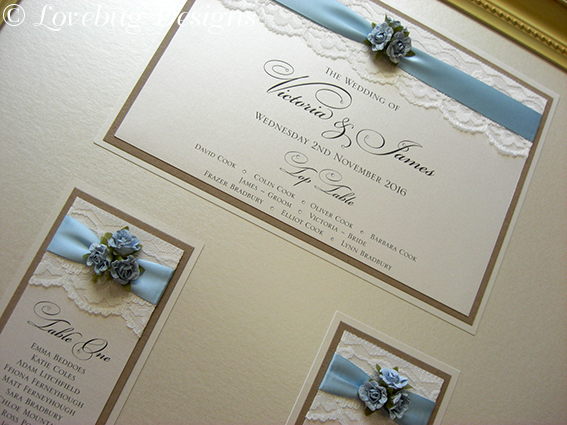 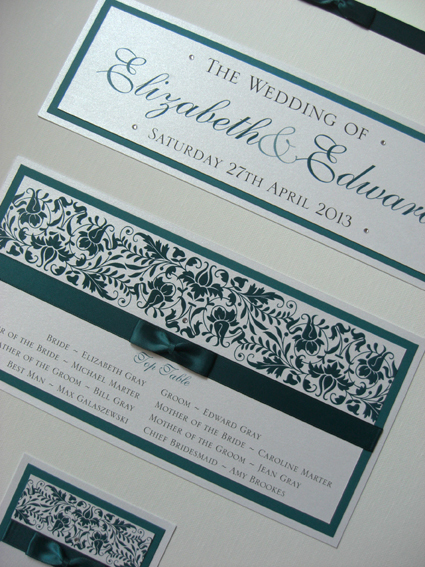 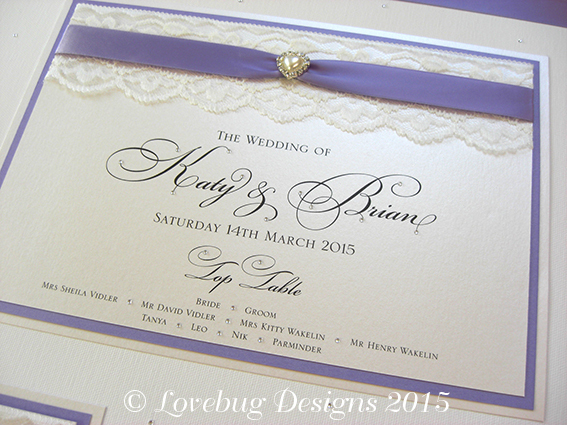 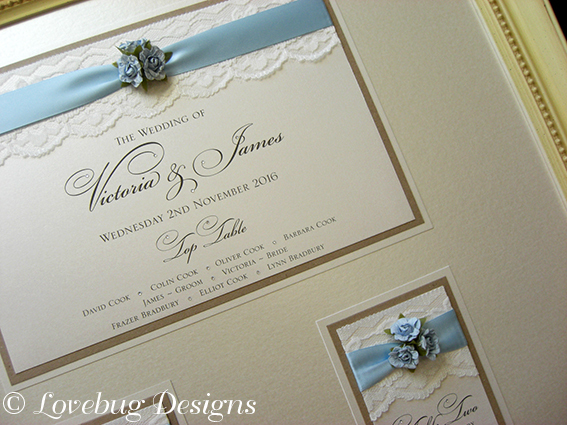 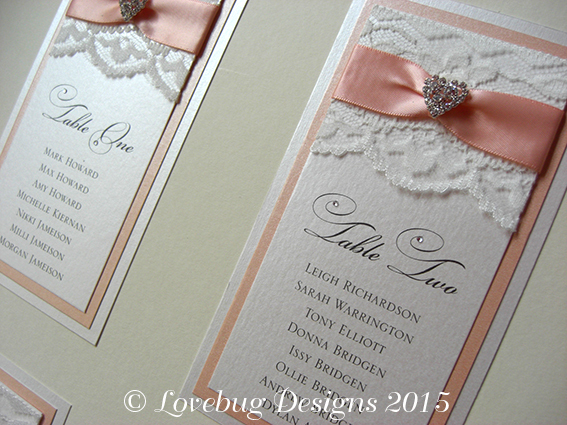 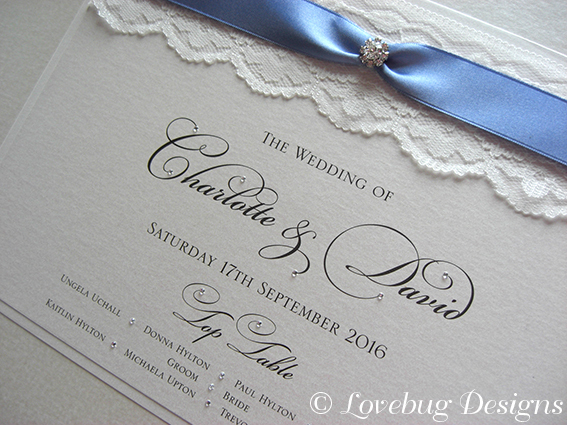 Beautifully embellished to match the wedding theme and colours.